Dragonflies sometimes look like aliens to me, with their giant eyes and other worldly flying skills. My initial impression of this photo was that it looked like an alien landscape from a science fiction movie—the terrain perfectly matched the subject. So what’s the reality? 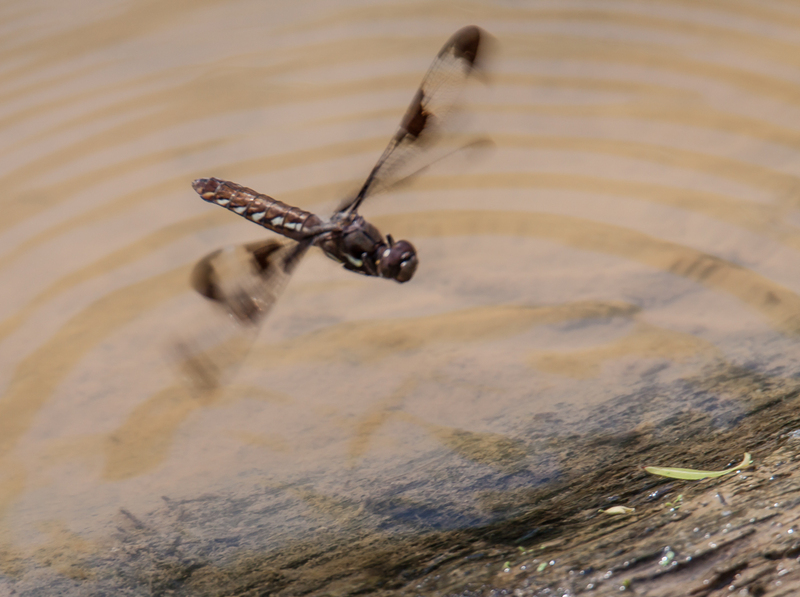 It’s a female Common Whitetail dragonfly (Plathemis lydia) in the process of depositing eggs in the shallow water at the edge of a pond. She is hovering over the water and then will drop down and dip the tip of her abdomen in the water, causing the concentric ripples you see in the image. A short while later, she repeats the process. 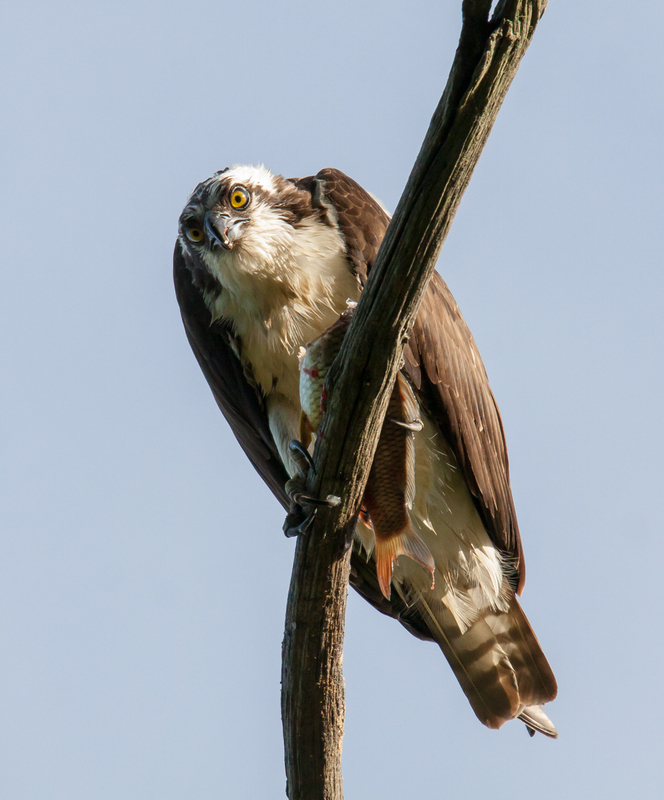 What you don’t see in the photo is her mate, who is hovering nearby, keeping watch over her as she ensures the continuity of his genetic line. There will be more aliens. 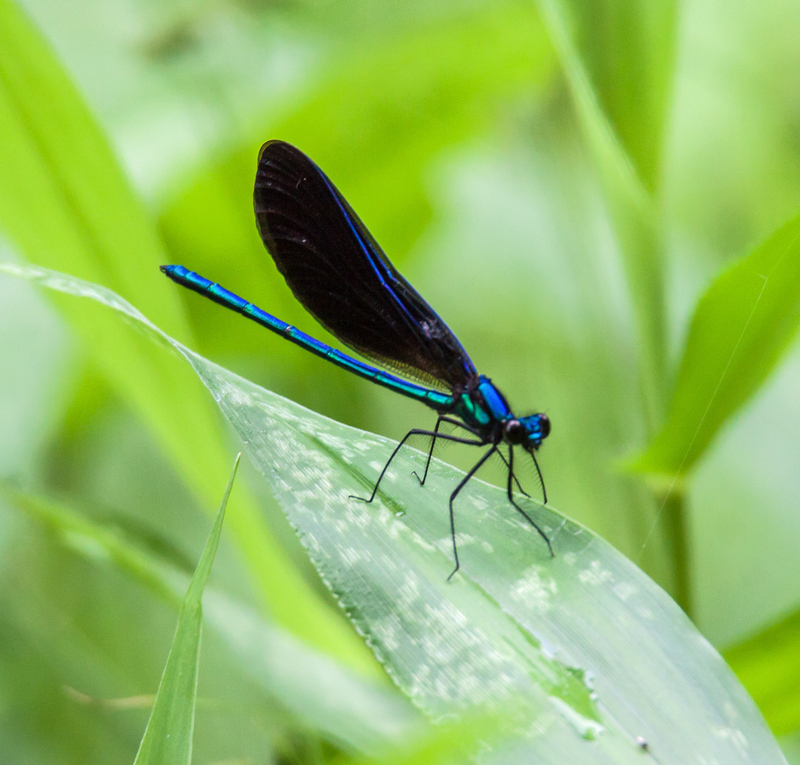 Ebony Jewelwings (Calopteryx maculata) are one of the most distinctive and easily recognizable damselflies because of their dark wings and metallic bluish-green bodies. So why is the female damselfly in the first shot so pale and colorless? 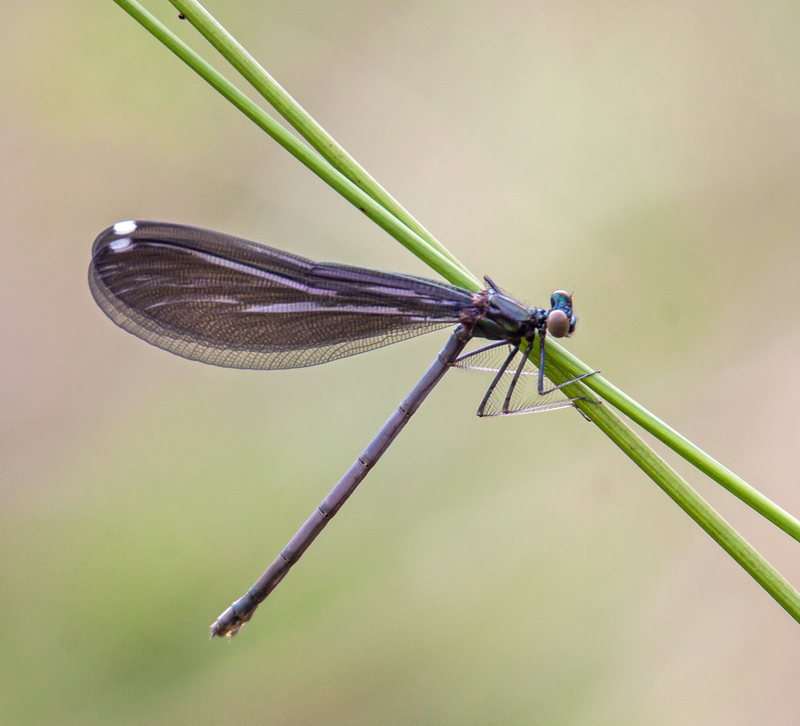 When damselflies (and dragonflies) shed their exoskeletons and move from being water-dwelling nymphs to acrobatic flyers, they are initially pale in color, a stage known as “teneral.” In a short time, the wings harden and gradually the newly emerged damselflies, like this one, become more colorful and look more like the one in the second image. 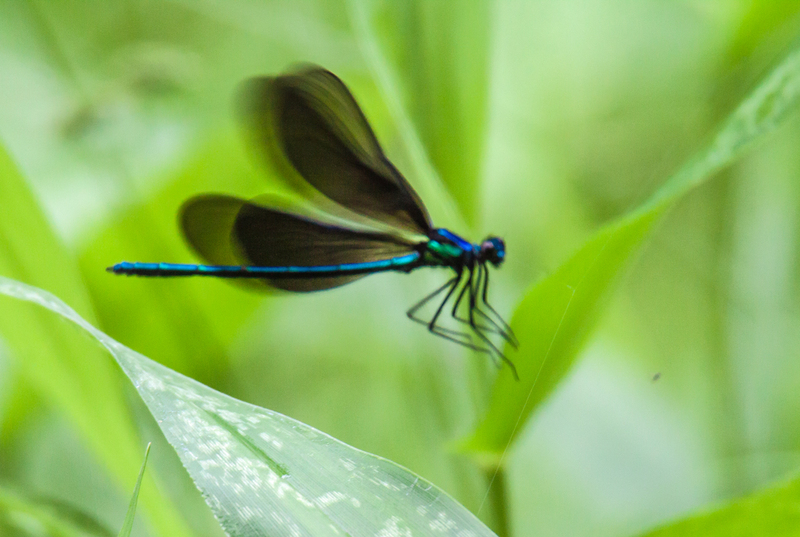 As I was photographing this damselfly, it took off and I captured a somewhat blurry image of it in the air that I really like—it reminds me of a water color painting. 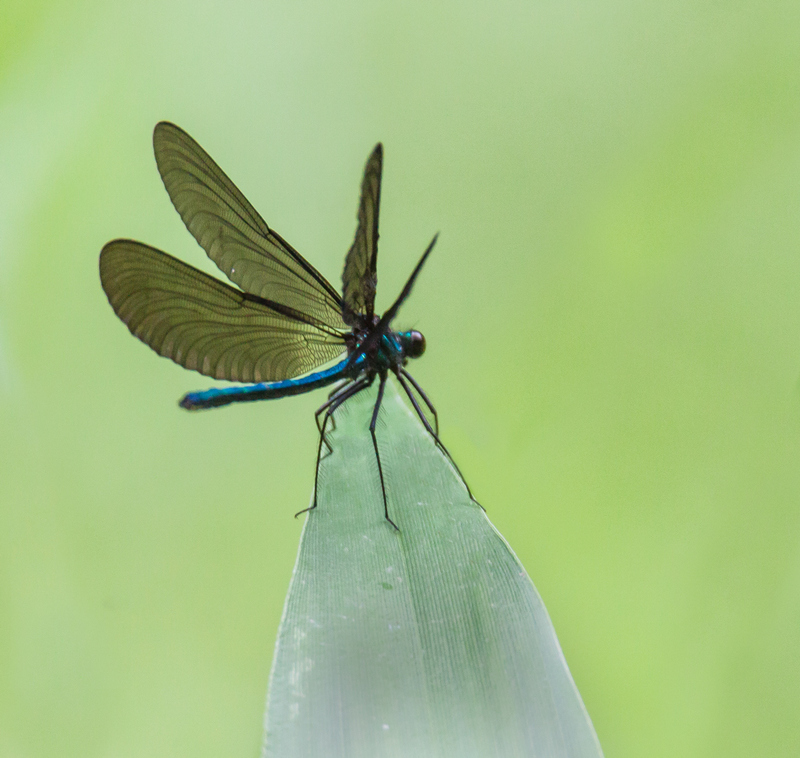 I must be in an “artsy” mood this morning, because one of the other images that I really like of the Ebony Jewelwing is this final one, in which the damselfly was perched at the end of a leaf with wings spread wide, displaying the intricate details of those delicate wings. 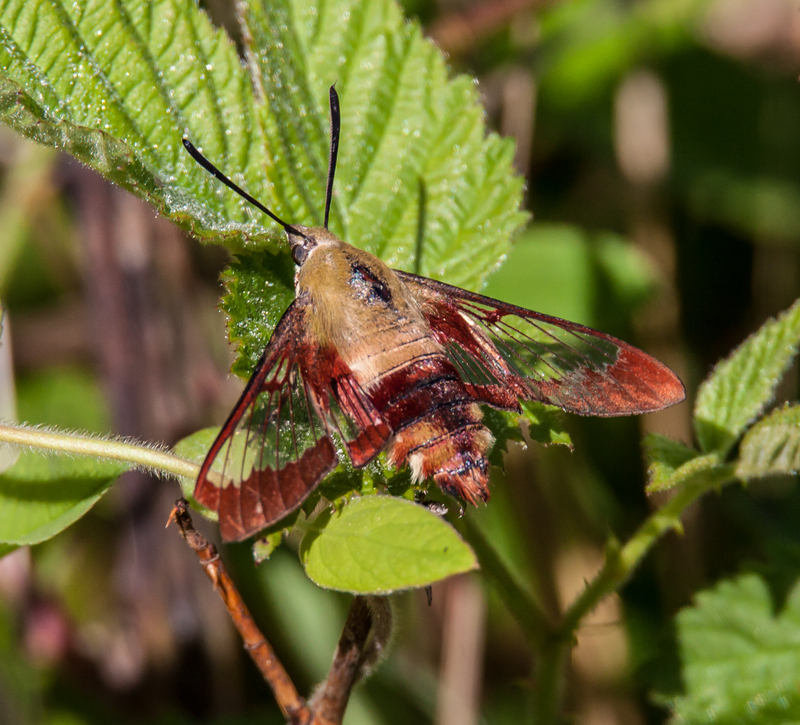 Earlier this week I caught a glimpse of my favorite moth, the spectacular Hummingbird Clearwing moth (Hemaris thysbe). Normally these little beauties hover at high speeds as they collect nectar, but this one kept perching on leafy plants, permitting me to capture its wings at rest. I wonder if the moth was laying eggs. 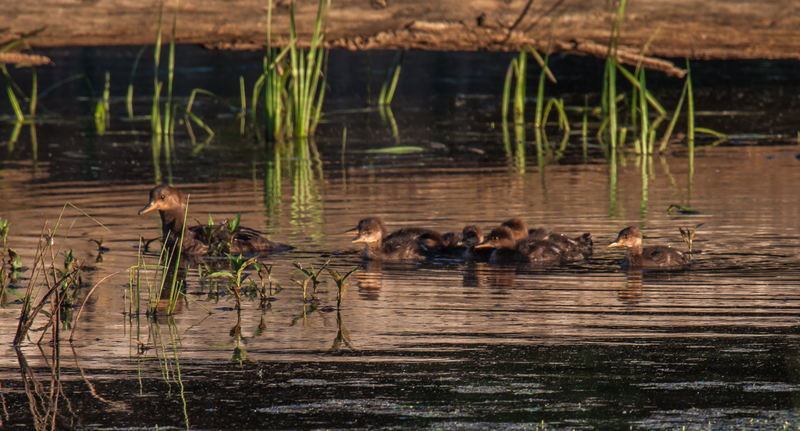 Shortly after sunrise at Huntley Meadows Park on Tuesday, a mother Hooded Merganser duck (Lophodytes cucullatus) checked on her seven babies and got them ready to start the day. I don’t know if the little family spent the night on the log, but it was probably a good idea to get moving before the numerous snapping turtles woke up. Most of the babies seem to be paying attention to the Mama in the first shot, though the one on the end seems to be daydreaming or is distracted. A short while later the family dropped into the water and started to swim away. This second shot is my favorite one from an artistic perspective. I just love the interplay of the light and the shadows. 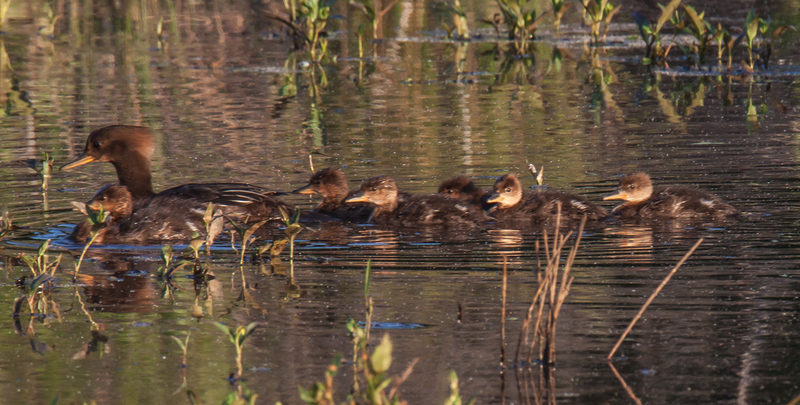 As the Merganser family continued to swim, it got tougher and tougher to track them amid all of the vegetation growing in the pond. Only occasionally would I get an unobstructed glimpse of them. I managed to get most of the family in this shot. One of the ducklings was a bit ahead of the group, perhaps the adventurous one on the end of the log in the first shot. 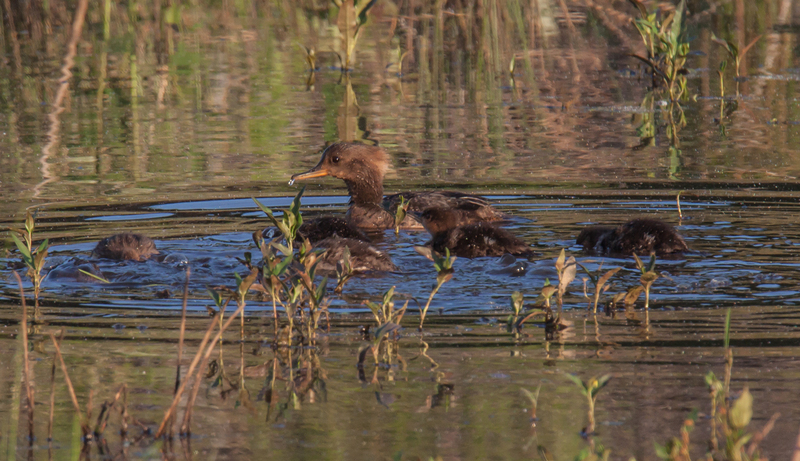 When they reached a spot that Mama Merganser considered to be safe, all of the babies began to stick their heads under the water. I don’t know if they were bathing or playing or if this was a lesson in fishing. Whatever the case, the mother duck remained vigilant. 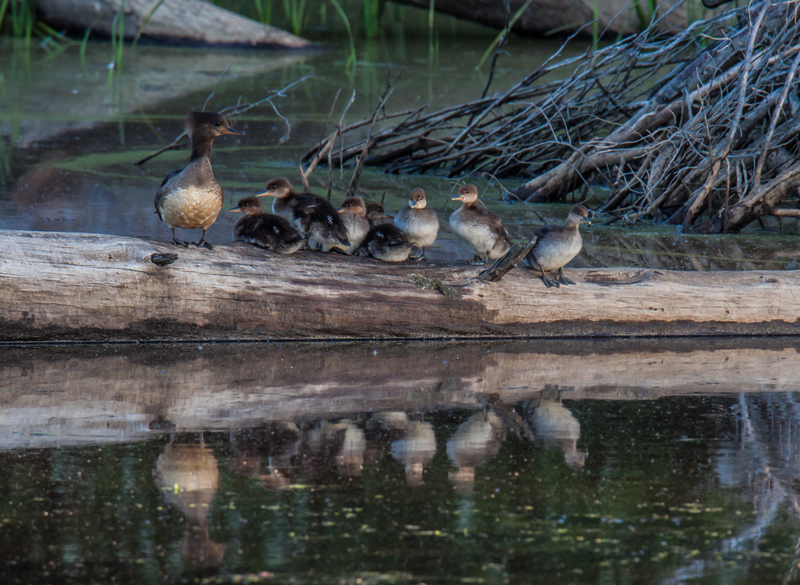 It’s at moments like this that I regret that the father Merganser does not stay around to help in raising the ducklings. It would sure ease the burden on the Mama and would enhance the chances for survival for the cute little babies. Sometimes, especially when I am in a hurry, I will quickly look through my recent photos, choose a single one I really like, and write a short post. That’s exactly what I did with the initial Freshly Caught Fish posting a few days ago. 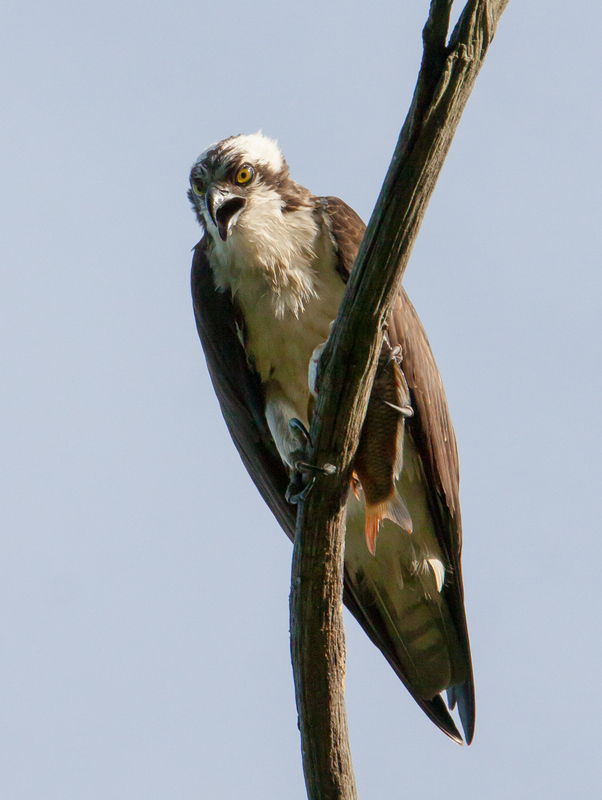 I knew that I had gotten some good shots of the Osprey (Pandion haliaetus), who was so cooperative that I was able to set up my tripod, but I knew it was going to take a fair amount of time to look through the photos. 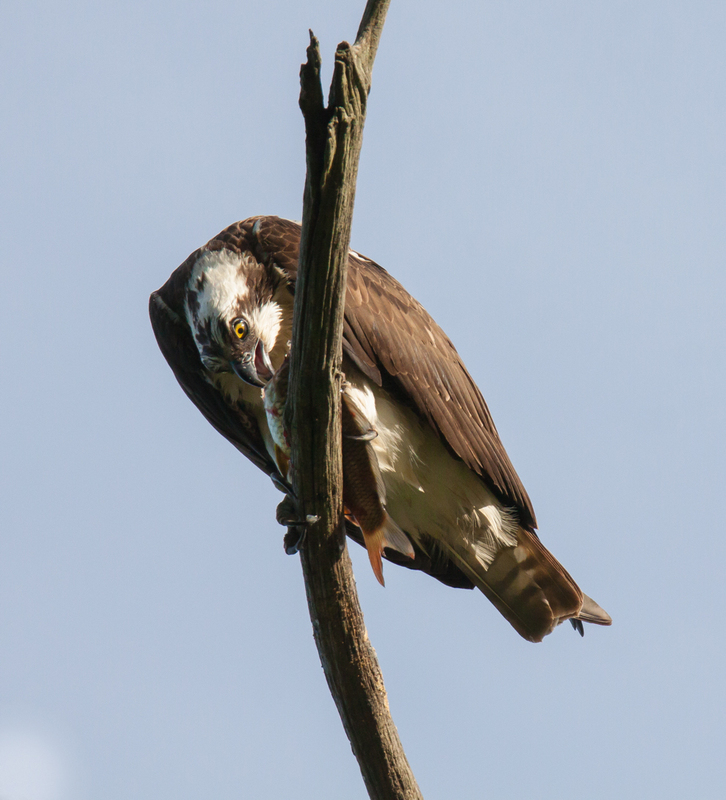 It was nice to be able to use the tripod, but I learned how tough it is to shoot almost straight up with a long telephoto zoom—I was crouching and on my knees as I sought to look through the viewfinder. 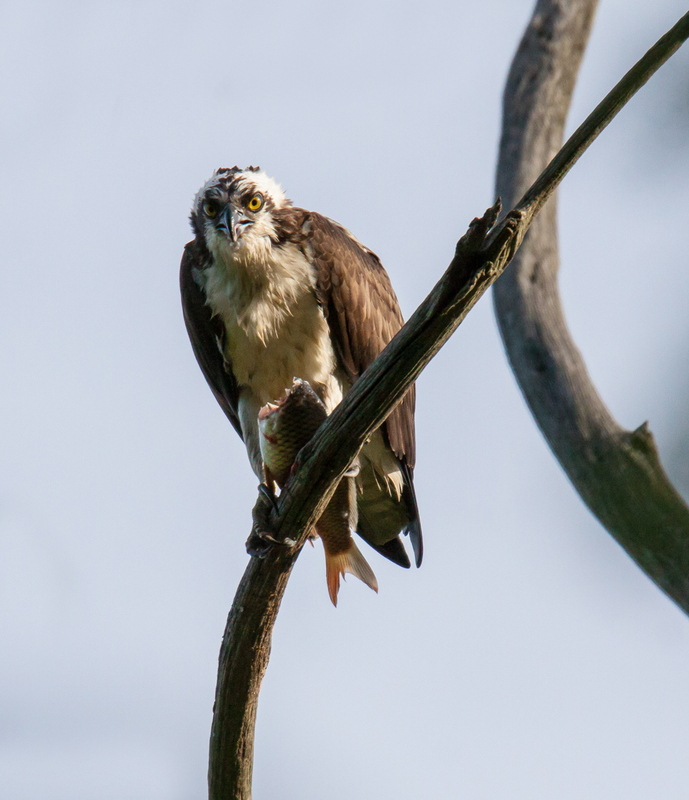 I now have sorted through my photos from that morning and selected a few more that show the osprey as he was eating and as he was sending me unambiguous messages. 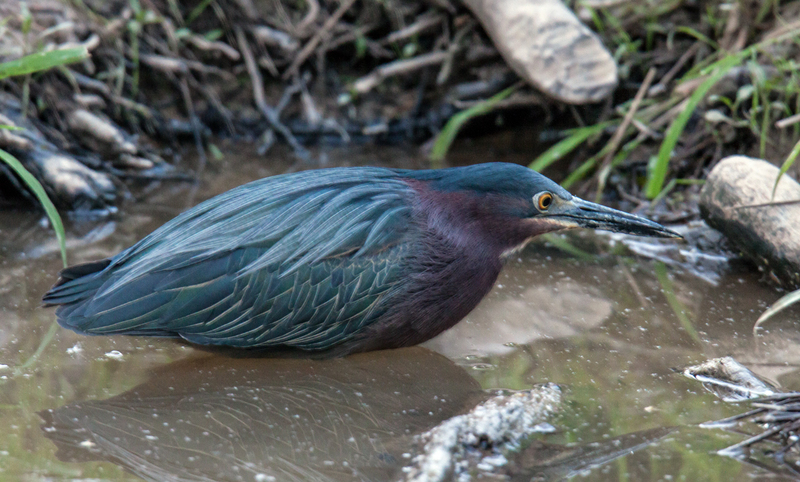 Green Herons are a lot smaller than the Great Blue Herons that I see fairly often and quite a bit more elusive. This heron seemed to be just waking up and wandered about a little on the muddy edge of a former beaver pond before entering the water. 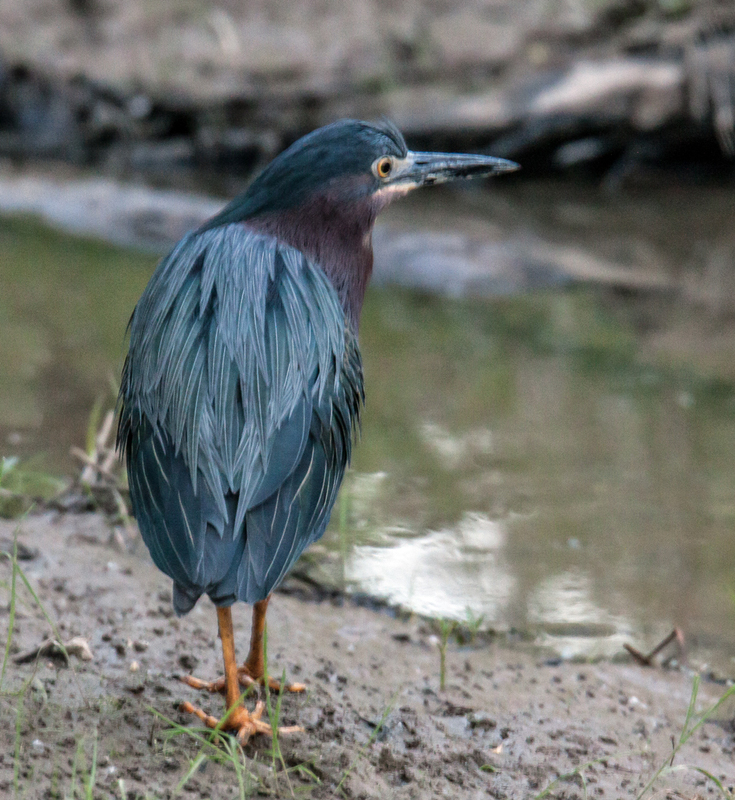 That is how I was able to get the second shot that shows the heron’s legs. I was probably at the limits of my ability to take photos in limited light. I was shooting at ISO 1600, about as high as I dared go with my somewhat dated Canon 50D. As is usually the case, I was using aperture-preferred mode with a selected setting of f/8. What I didn’t realize until afterwards was how slow the shutter speed was—as low as 1/20 sec for these shots, quite a bit slower than optimal for a focal length of 500mm on my 150-600mm lens. Focusing in the limited light was a little slow, but seemed to be pretty accurate. Usually I don’t dwell quite so much on the technical aspects of my shots, but I know that some folks have questions about the capabilities of the Tamron 150-600mm lens in low light and wanted to share my experiences (which are mostly positive).